If you want to create an attractive focal point in the living room, you need to know how to decorate bookshelves around a fireplace. 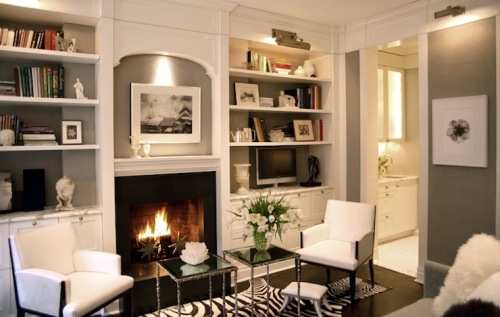 There are five ways to make the fireplace stunning using the bookshelves. You can make the space modern, luxurious, lavish, country or even traditional depending on the fireplace design and bookshelves decoration. To create a warm feeling, you can dominate the room with wooden items. One of them is having the bookshelves made of hardwood. They can be finished in dark brown or reddish brown tone. 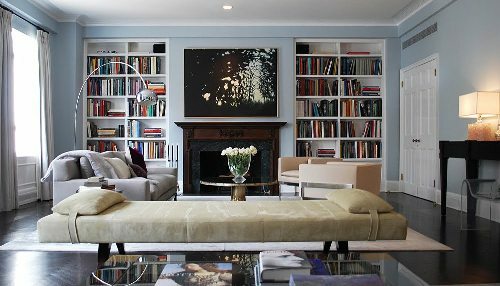 If you want to create sophisticated feeling inside the modern home, you can paint the wall in white, while the bookshelves along the fireplace are in glossy black. Decide the focal point in the living room. You can use the fireplace or the bookshelves. Pick one of them so that you can get a focus in the space. If you want to use fireplace as the focal point, it should be stunning. The attention of the people should be directed on the fireplace. 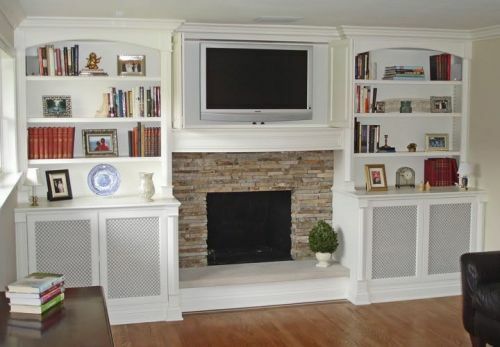 You can have the fireplace decorated with cultured stone in natural tone. 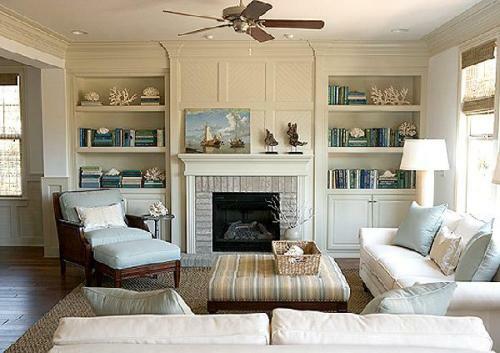 If you want to use the bookshelves as the focal point, the fireplace should be simple and clean. Note on the shelving unit around the fireplace. You can pick the one made of wood. It can be in floating design if you want to evoke the minimalist look. If you want decorative look, it can be made of ornate wrought iron. Don’t forget to check how to decorate above a TV armoire here. 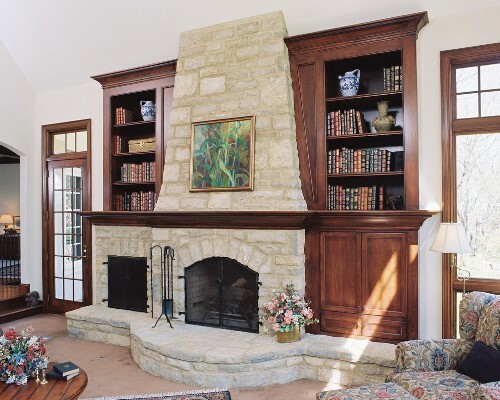 The main function of the bookshelves around the fireplace is to hold the book collections that you own. You can set the favorite ones on the bookshelves. Make a good organization so that you can pick the intended book easily. The framed picture can be set on the top of the bookshelves. It will be boring if you only fill the bookshelves with books. You can also adorn the space with the picture of family and friends. Besides the framed pictures or photos, you can add other decorations on the bookshelves. You can set the mini statues, vases, figurines, candles, flower arrangement and other knickknacks. The fireplace mantle can be decorated with a mirror, artwork, photo, painting or wall sculpture. Do you want to add more ways on how to decorate bookshelves around a fireplace? Here are several ways on how to decorate a fireplace mantel for Halloween. The Halloween celebration should be frightening.